Dr. Chi’s surgical expertise includes rewiring the nerves in the arms of amputees to give them full control over their prosthetic limbs -- a procedure known as targeted muscle reinnervation. He also developed a specialized program to train upper extremity amputees to control their prosthetic limbs by simply thinking about the action they want their prosthetic hand or arm to perform. In addition, Chi is developing a system to allow patients to perform activities of daily living using eye control. 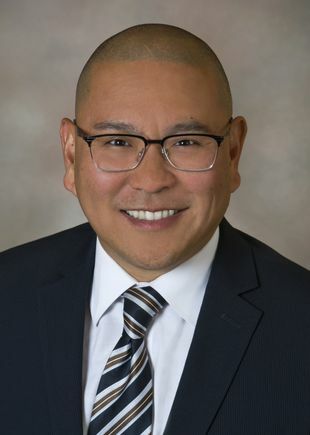 Prior to coming to OHSU, Chi was medical director of the Targeted Muscle Reinnervation Program and Medical Director of the Physician Assistant Surgical Residency Program at Johns Hopkins. He is a commander in the U.S. Navy Reserve. Download Dr. Chi's photo. See Dr. Chi's media kit.